Opting to install a solar powered roof in Louisiana is a smart choice for a number of reasons. There is plenty of sun most of the year; it makes sense from a financial point of view and it’s great for the environment. To be honest, Louisiana as a state hasn’t really got its act together to promote solar as an alternative energy option as well as some other states, but it does have at least one policy which is hard to beat anywhere else in the nation. More of state solar policy as it applies to homeowners later on but we’ll concentrate on the options for homeowners first. 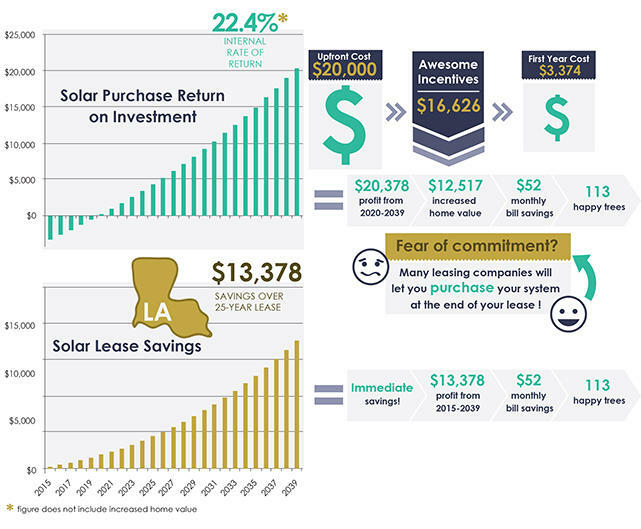 The chart below gives a broad overview of what each of the main options – buying, borrowing and leasing – mean to you as far as a long term solar commitment are concerned. As you can see, buying a solar panel outright will give you the best return over the average lifetime of a solar array, i.e. 25 years, but taking out a loan, as well as leasing a solar provider’s panels makes sense too and you will find whatever you decide to do you won’t regret it. If you’d like a free quote on a solar panel system, click here. There are two major reasons why purchasing a solar installation is such a good option in Louisiana and it doesn’t matter whether you borrow the money for the panels or buy them outright, they are incentives available to any new owner. These are the state’s own tax credits which give you back a huge 50% of the cost of the panels (up to $12,500) and then the federal government provides a further 30% tax credit. That makes purchasing a solar roof in this state an even better option than many others despite the fact that neither the utilities in Louisiana, nor the state itself, provides any other incentives as we will see later. OK, so let’s get down to details and see how the comparison between the different options really stacks up. When you lease a solar installation what you are doing is allowing a provider to use your roof to put their panels. They make an arrangement with you to put their own panels there and they get the benefit of any state or federal tax credits and they also charge you for the rental or for the power those panels provide. There are two basic ways that leasing works. In one, you pay a monthly rental and you then only pay for the electricity you still need from the utility company. The other method sees you paying only for the electricity you use and there is no monthly payment. Typically, the cost of the solar electricity is less than that of the utility you are hooked up to. Depending on exactly how much solar power the panels provide you get to keep any savings you make from the energy shining down on your roof. 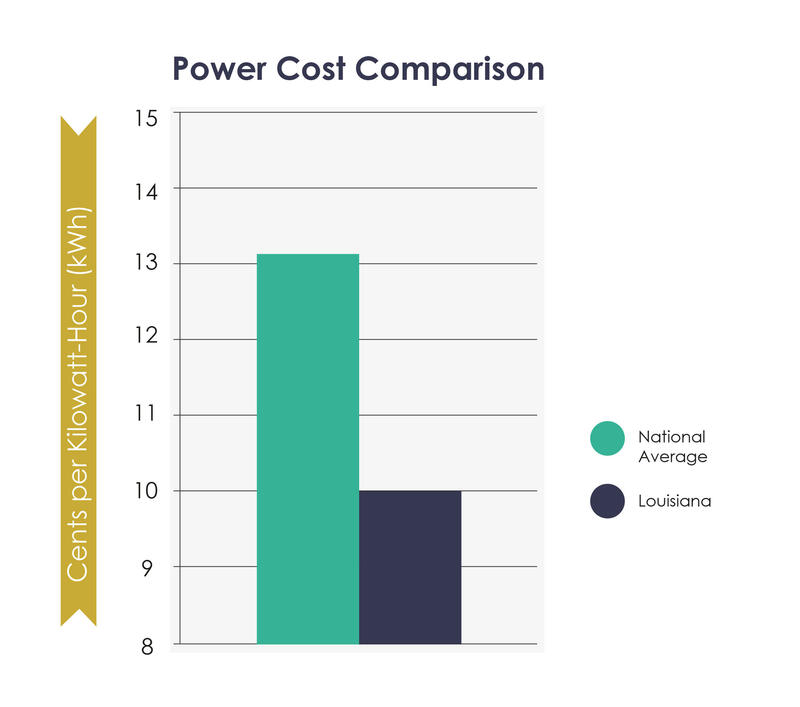 Louisiana’s utilities charge one of the lowest rates per kilowatt hour in the country (it averages around 8 cents a kilowatt hour compared to California, for instance, where the average cost of a unit is nearly double). The significance of that is that, right now, it is hard to beat the cost of electricity produced by all that fossil fuel burning, but that might change quite quickly over the next few years. Fossil fuels won’t last forever and when the reserves start to shrink, the cost of burning will go up, while the energy from the sun is free and constant. The other advantages of leasing a solar installation is that the provider takes all the risk which means they install them, maintain and repair them. If the panels get storm damaged, you don’t have to worry about replacing them as that’s down to the provider. To be honest, there is very little maintenance needed for solar panels as they just keep churning out electricity day in day out and they only really suffer if they have been located in a place where they get a lot of shading or the roof’s orientation is not directly towards the sun. 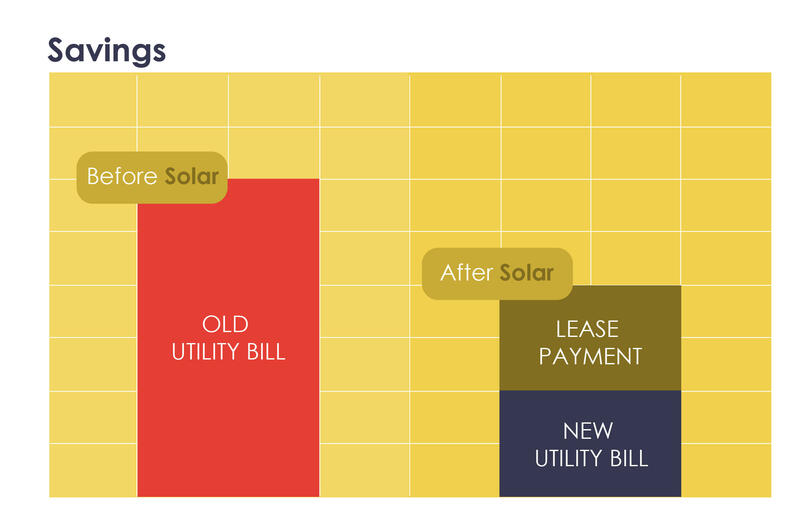 Without getting a quote from a service provider, it’s difficult to say exactly how much a solar system will cost you. The average cost of a solar installation is around $20,000 for a 5kW panel array. Of course, how much you decide to install depends on how much power you and your family are likely to consume and you may need to get some help making the right decision about the size of your installation The best thing about the incentive schemes is that they are based on whatever you decide to buy, so if you later decide to upgrade the number of panels and buy more of them, you can get even more tax credits! $20,000 may seem a lot of money and it is, but here’s the good news. Take off the full state tax credit of 50% and that brings down the cost of the panels to a more attractive $10,000. Then take off the federal tax credit of 30% of the original cost ($6,000) and that brings the total initial cost down to $4,000! That is an outstanding opportunity! Taking into account the fact that you won’t save quite as much by not using electricity from your usual utility company because you are producing home grown power, you may still make an average saving of $500 a year on what you might have paid out on electricity bills. That means that you will have paid off your panels in 8 years ($4,000). After 8 years, any savings go right into your own pocket! This is still a great option because you get the advantages of both tax credits and get to keep the panels once you have paid back the loan. It means that even though you haven’t got the money right now to splash out on a solar roof or you do have the money but don’t want to commit it all for that purpose you still can go solar right away and it won’t be long before you see all the advantages. The main difference is that it will take longer to pay off the loan and start making savings that will put money back into your own pocket. At present, a typical loan for a solar roof would see you paying around 5% interest over a 10 to 15 year period. Because of the tax credits outlined above (in option 2) it will take you less time in Louisiana to pay back the loan than in most other states. Note that whichever way you buy a solar installation in Louisiana one other state policy means that you get an additional benefit. That’s because erecting a solar roof adds value to your home. If you do decide to sell the home with the roof intact, then you don’t have to pay any property tax on the value of the roof as solar roofs are 100% property tax exempt in Louisiana! 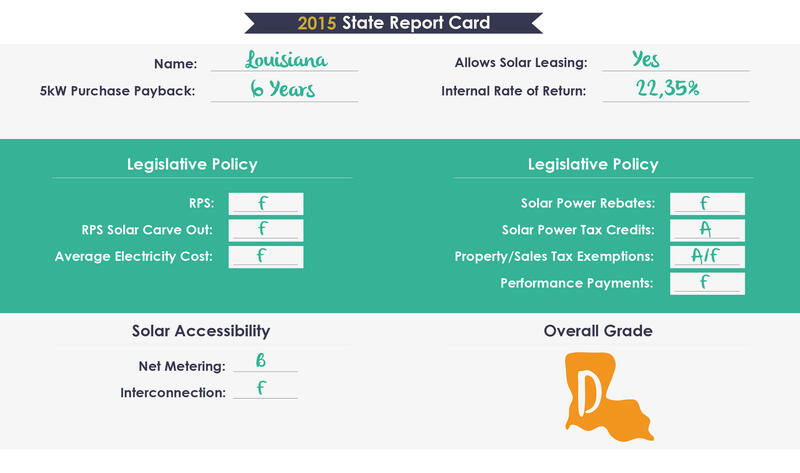 Now let’s see how Louisiana compares to the rest of the country when it comes to promoting solar power. Solar is less expensive than you might think. It would be fair to say that Louisiana basically doesn’t have an RPS policy at all when it comes to making utilities seek out renewables as a way of providing energy. At present, The RPS is the state’s mandatory goals for its own utility companies to ensure they are providing at least a certain percentage of their power from renewable energy of one sort or another. Louisiana has a zero RPS. The RPS is supposed to force the utilities into investing in wind farms or solar energy or any other renewables like hydro or tidal energy if that’s feasible. Some states have a very progressive RPS policy. California, for instance, has a RPS of over 30% by 2020. That means California’s utilities have to look around for ways of providing that proportion of the state’s energy from those sources by that date. California has plenty of sunshine but that’s not the reason for the high RPS. Even states like New Jersey have a high RPS as well. The fact that it has a very good personal state tax credit incentive tends to cancel out the negative aspect of a zero RPS but what that does is shift the burden onto the tax payer rather than the utility companies. The utilities are free to keep on burning the huge amounts of coal, oil and gas they have been doing for decades despite the negative effect that has on the environment. Putting the emphasis on to the state’s taxpayers could also mean that the great tax credit could easily disappear if public opinion or government policy changes. There are no rebates provided by the state utilities for exactly the same reason that the state has a zero RPS. The utilities don’t need to look for ways of generating energy from wind or sun because they haven’t been told they have to. They don’t like you installing your own power supply either so they won’t give you any money to make sure you produce some of the energy they are supposed to be making from renewables. 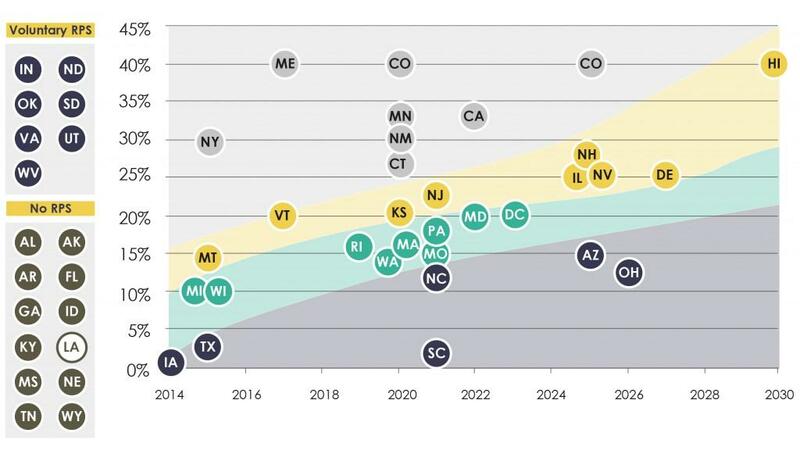 If the state had a higher RPS the utilities will find an easy way out of producing renewable energy themselves and that is to pay you to generate renewable energy yourself! So it’s not really surprising that Louisiana’s utilities don’t pay you any money because the more savings you make from your solar roof, the less money they make! The state has no state sales tax incentive, either. In some states, the sales tax on new solar panels is cut to zero, making them cheaper to buy. That doesn’t happen in Louisiana. Louisiana, as has already been mentioned more than once, has the one great incentive scheme for solar owners and that’s the 50% state tax credit (capped at $12,000). Of course, if you don’t pay much tax then this is less of an incentive for you, but most people will be able to take advantage of the scheme and it sure brings down the cost of your solar installation by a long way. Louisiana also allows net metering. This means that you can sell back to the utility any surplus electricity your solar panels are producing and get in return the same price per unit that you would have to pay if you were getting that same electricity from the utility. Typically, there are times in the year when you are more likely to produce surplus power and other times when you are probably getting most of the power from the utility, but without a way of monitoring how much is going in each direction (which is basically what net metering is all about) no one would know whether you were creating a surplus so you wouldn’t get paid for it! Remember that utility companies are out to make the best profit they can and it is only the state government’s policies that force those companies to do anything to make your solar roof a more attractive prospect. The final positive scheme in Louisiana is the 100% property tax exemption for the added value of your solar roof. This is a similar policy to most other states and it does mean that when you sell your home, any future savings from already having a solar installation add to the value of your home without being taxed. If you’d like to see how much a solar panel system will be, we’re offering free quotes! Whatever you decide to do, if you opt for a solar roof, you stand to gain in the long term. The longer you have a solar roof, the more financial gains you are likely to make. There is no indication that anyone is going to find huge new reserves of fossil fuels somewhere on the planet to replace the stocks that are dwindling away at present and there is no indication that the atmosphere can handle all that pollution or much longer anyway. Give yourself and the planet a break and opt for a solar roof. It’s a decision that you are unlikely to ever regret.